Online businesses—like businesses everywhere—are full of suggestions. If you order a burger, you might want fries with that. If you read Popular Science, you might like reading Popular Mechanics. Those kinds of suggestions are a very old part of commerce, and no one would seriously think it’s a patentable technology. Except, apparently, for Red River Innovations LLC, a patent troll that believes its patents cover the idea of suggesting what people should read next. Red River filed a half-dozen lawsuits in East Texas throughout 2015 and 2016. Some of those lawsuits were against retailers like home improvement chain Menards, clothier Zumiez, and cookie retailer Ms. Fields. Those stores all got sued because they have search bars on their websites. In some lawsuits, Red River claimed the use of a search bar infringed US Patent No. 7,958,138. For example, in a lawsuit against Zumiez, Red River claimed [PDF] that “after a request for electronic text through the search box located at www.zumiez.com, the Zumiez system automatically identifies and graphically presents additional reading material that is related to a concept within the requested electronic text, as described and claimed in the ’138 Patent.” In that case, the “reading material” is text like product listings for jackets or skateboard decks. Suggesting and providing reading material isn’t an invention, but rather an abstract idea. The final paragraph of the ’477 patent’s specification makes it clear that the claimed method could be practiced on just about any computer. Under the Supreme Court’s decision in Alice v. CLS Bank, an abstract idea doesn’t become eligible for a patent merely because you suggest performing it with a computer. But hiring lawyers to make this argument is an expensive task, and it can be daunting to do so in a faraway locale, like the East Texas district where Red River has filed its lawsuits so far. That venue has historically attracted “patent troll” entities that see it as favorable to their cases. The ’477 patent is another of the patents featured in Unified Patents’ prior art crowdsourcing project Patroll. 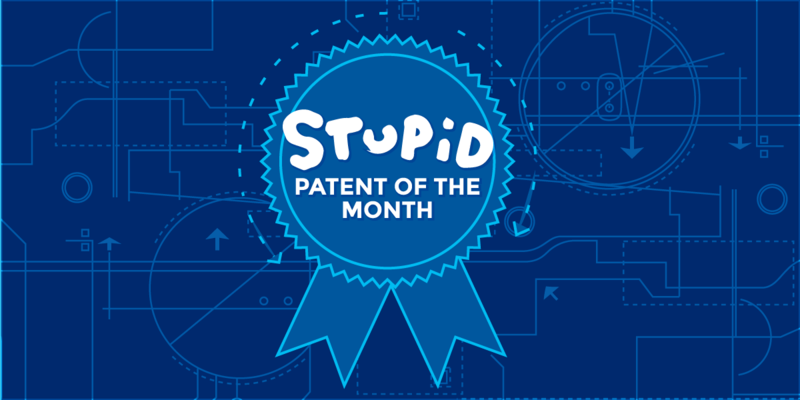 If you know of any prior art for the ’477 patent, you can submit it (before April 30) to Unified Patents for a possible $2,000 prize. The good news for anyone being targeted by Red River today is that it’s not going to be as easy to drag businesses from all over the country into a court of their choice. The Supreme Court’s TC Heartland decision, combined with a Federal Circuit case called In re Cray, mean that patent owners have to sue in a venue where defendants actually do business. It’s also a good example of why fee-shifting in patent cases, and upholding the case law of the Alice decision, are so important. Small companies using basic web technologies shouldn’t have to go through a multi-million dollar jury trial to get a chance to prove that a patent like the ’477 is abstract and obvious.